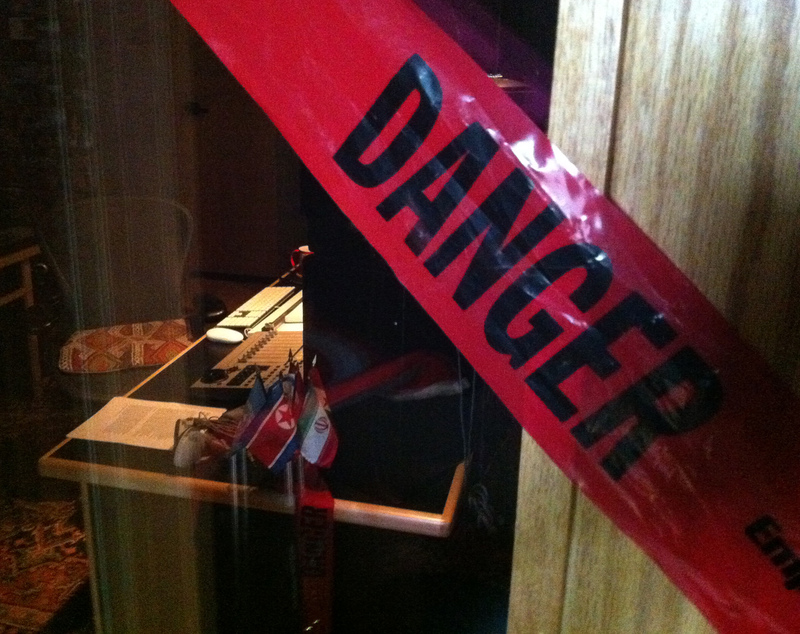 Prepare yourself, if you have never entered the studio of an artist, everything is not necessarily coming up roses. If the artist is doing nothing but contemplating what needs to be done, you can take a deep breath, but if the artist is actually at work (a surprisingly rare moment), then beware, all Hell might break loose. If the world had any sense, it would lock the artist in his/her studio and throw away the key, actually, that is precisely what the world has done to the artist, which is why you must always remember caution: danger, and not get too close.